Today has been mostly about resting as I had on of those insomnia nights again. I take sleeping pills to keep me sleeping and usually I have no problem falling asleep. But lately I have a lot on my mind and that makes me worry, unnecessarily of course but still. But I got roughly an hours sleep in the afternoon and I&apos;m still tired so I hope tonight will be better. 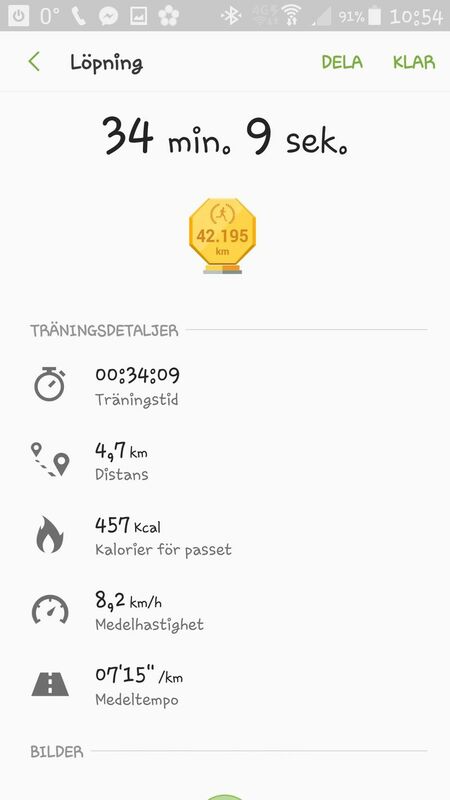 No stepgoal reached obviously but much needed rest. Oh and I forgot to talk about yesterday that I now, since I started running in beginning of July 2014, been running a total distance of 39 marathons. That&apos;s totally 1645.6 km! (1022,528 miles) quite an achievement! Grateful that most of the nights I have good sleep so my body and mind gets rested.